"YOUR ENERGY FIELD IS FLUID AND YOUR BODY'S FREQUENCIES ARE AFFECTED BY SO MANY FACTORS." Depending on how far out of balance you are, as well as the root cause of the difficulty. So if the program you used yesterday to put you to sleep doesn’t seem to be doing the trick today, do some program surfing until you find the set of tones that your body says "yes" to in this moment. For optimum sound reproduction, please listen to the sample tones below using high quality headphones. Thirty continuous minutes of angelic sounds in the high-frequency range to expand your mind and elevate your spirit. Thirty continuous minutes of deep low-frequency tonal sounds in the Tibetan tradition to recharge your life force, re-center your physical body and connect you to the earth. 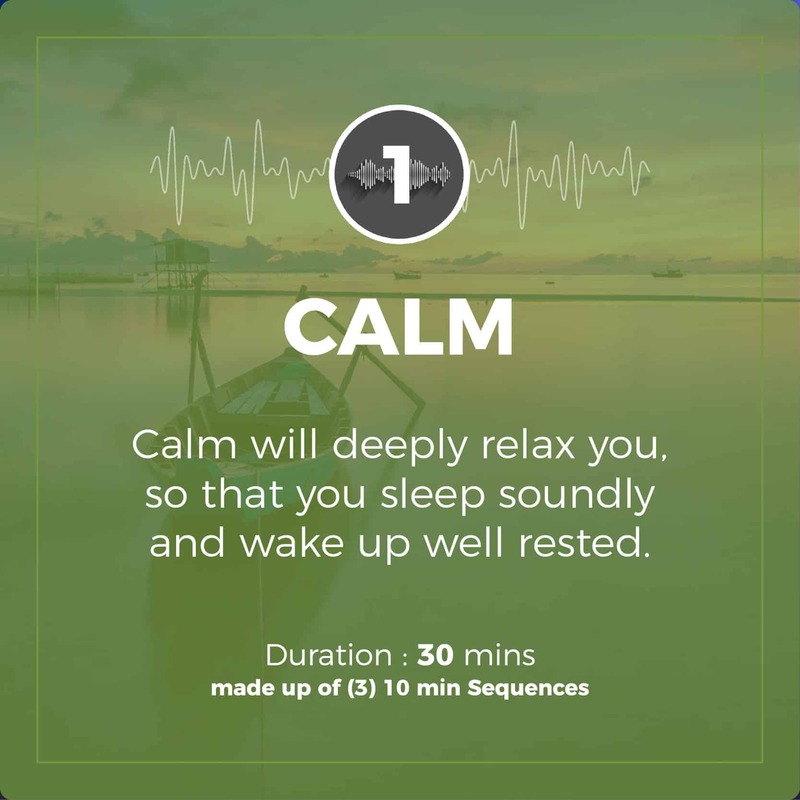 A soothing low-frequency tone, followed by a calming mid-range tone, ending with a comforting low-frequency tone calibrates the body to effectively deal with pain and discomfort. A deeply comforting low range frequency tone, followed by an expansive mid range tone segment, ending with a centering low-frequency tone allows for release of stress and anxiousness. 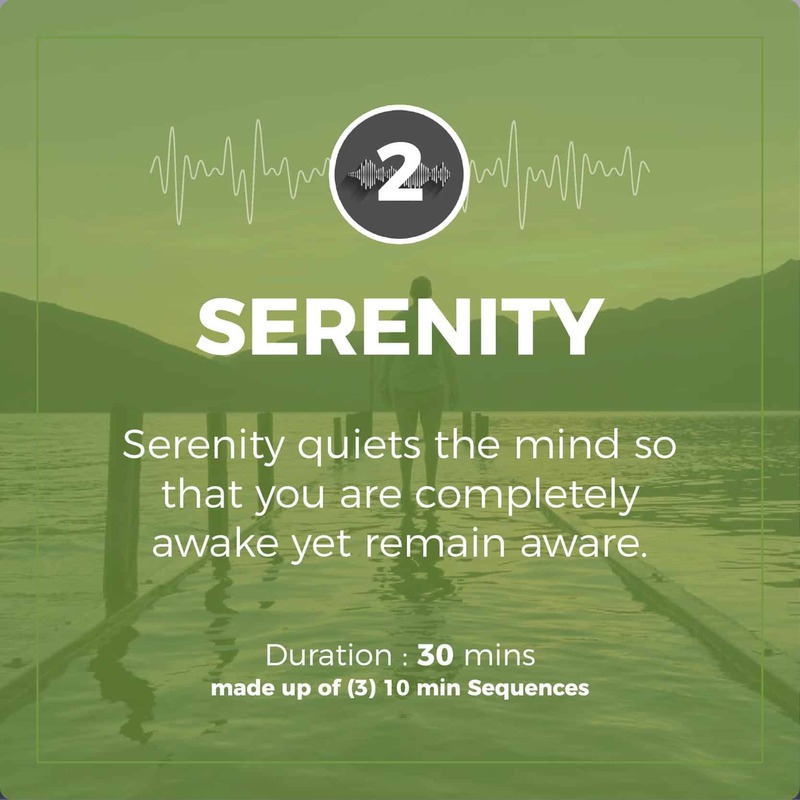 Serenity begins with a strengthening high-frequency tone, followed by a balancing mid-range tone, ending with a soothing low-mid range tone, to create deeply relaxed awareness. 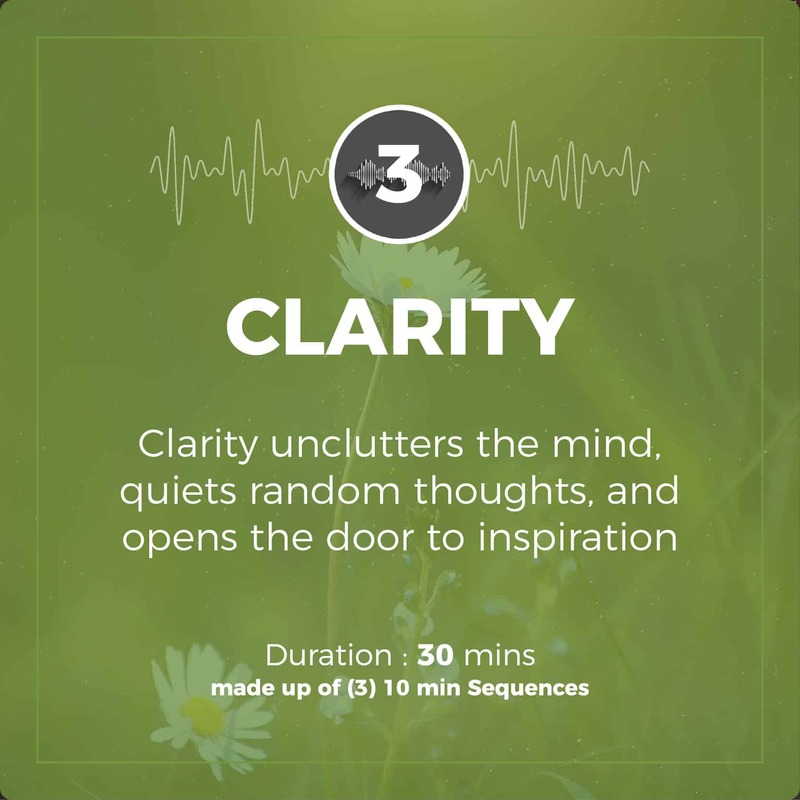 Clarity consists of three mid-range tones. This combination is designed to create a state of mental balance that removes mental fogginess and leaves your mind calm and clear. 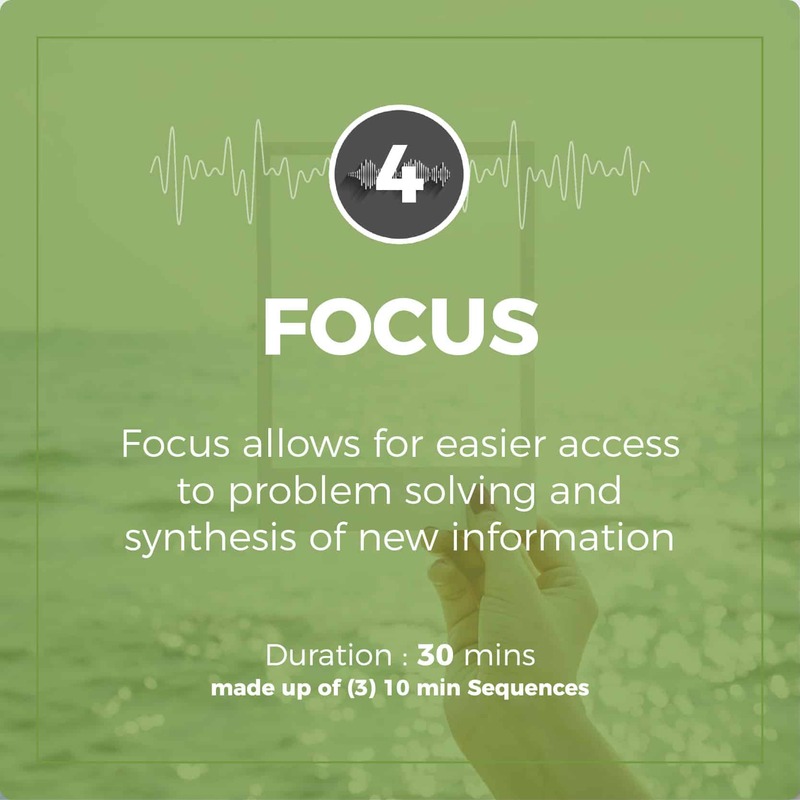 Focus begins with a balancing mid-level tone. This is followed by two high-level frequencies of increasing intensity to fine-tune your ability to focus. Comfort begins with a soothing tone in the low-frequency range, followed by two mid-frequency tones. This combination gradually lifts the spirits and helps alleviate pain and distress.